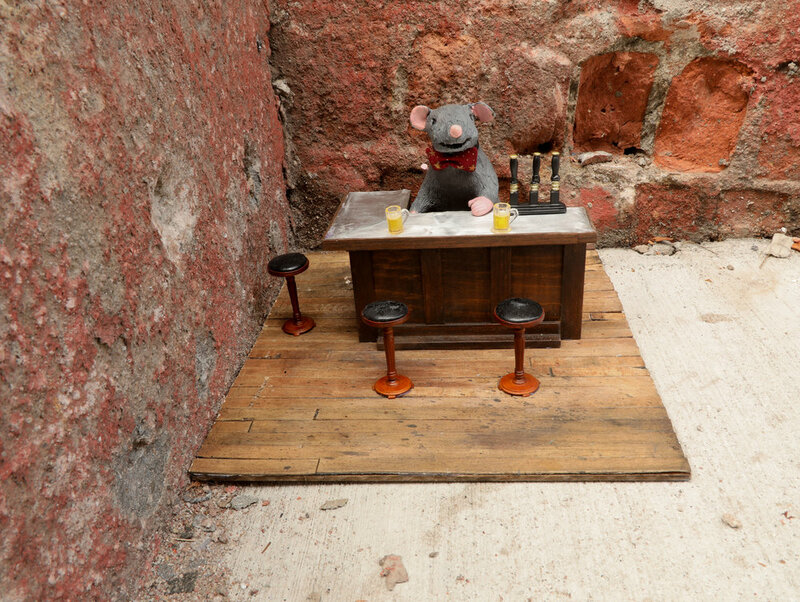 Squeakeasies are secret bars for rats installed around NYC in the neighborhoods with the highest rat populations. 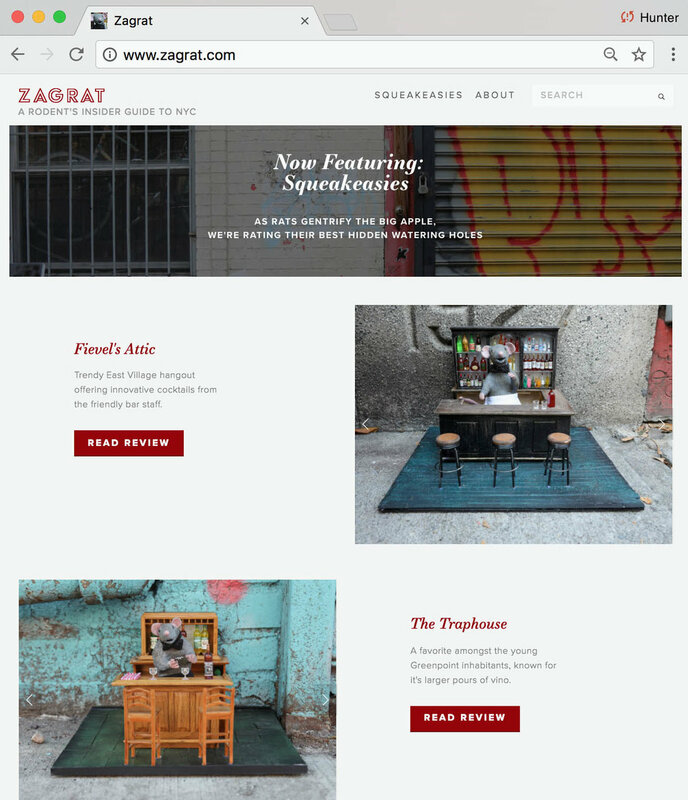 They are rated and reviewed on a parody site made for this project called ZAGRAT.com. 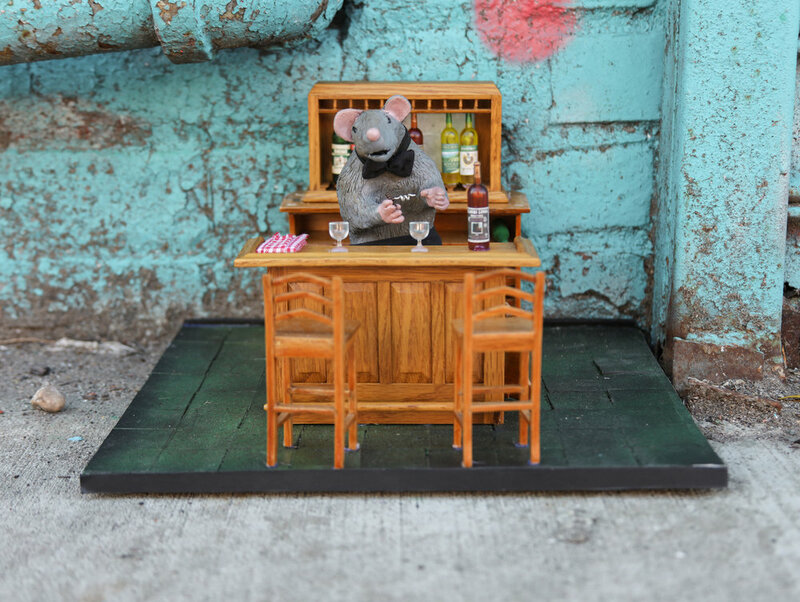 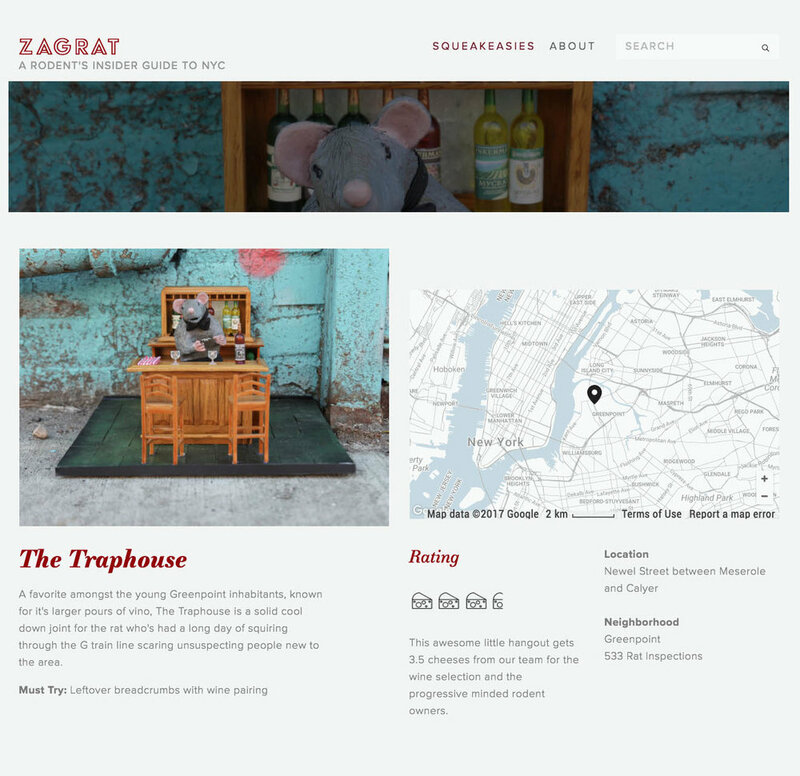 Bushwick Daily: Giving Rats a place to "wet their whiskers"
Scroll through for some production / behind the scenes pics.